I love fried rice. But I’ve been trying to keep my carb count down at a reasonable level. That takes eating a low-amine food that’s made up almost completely out of rice “off the table,” or so to speak. But what if I were to take fried rice and flip the proportions? 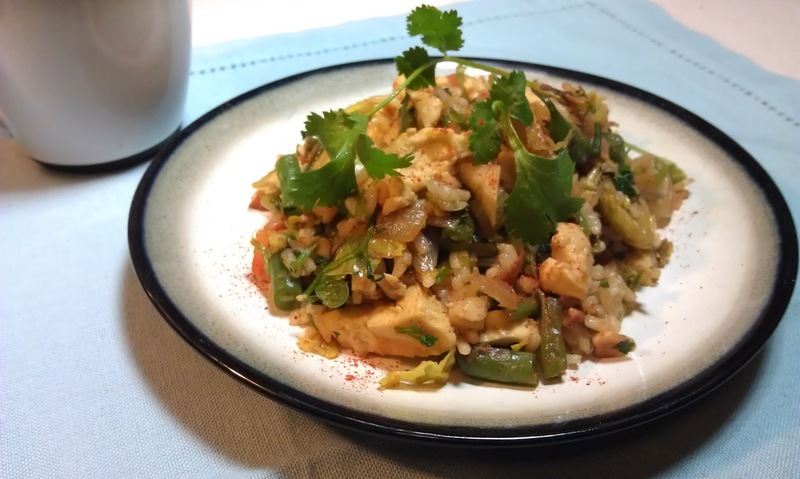 For this low-amine, reduced-carb fried rice, it’s been turned on its head, with 80% vegetables, and 20% rice. Wouldn’t you know it, I didn’t even miss the rest of the rice! Beat eggs with salt, and heat up a medium non-stick pan to medium high. Melt 1 tsp butter in pan, and pour eggs in. Using a flexible spatula, scrape eggs off the bottom every 5-10 seconds to create a moist batch of scrambled eggs. While eggs are cooking, heat a large non-stick pan to medium-high and melt butter. 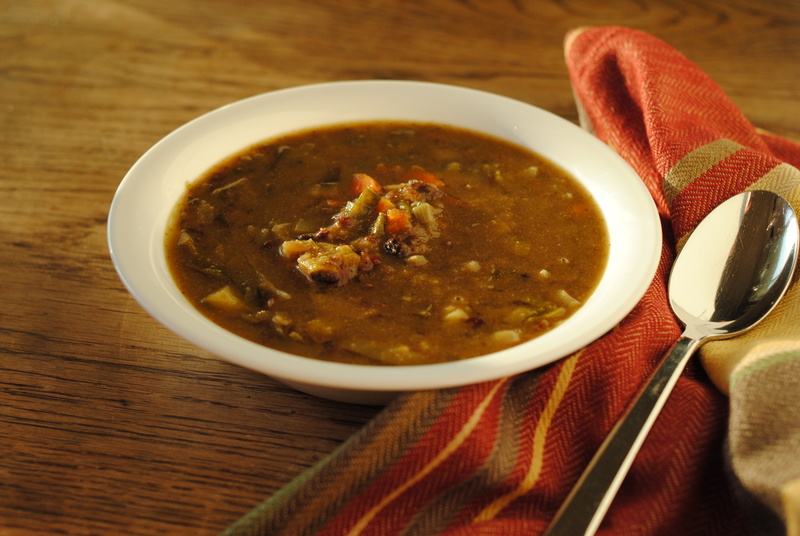 As moisture starts cooking off, reduce heat to medium low. When eggs are done, scoop them into a bowl and set aside. Note: You can also add other low-amine foods or proteins, but I chose eggs because they hold their shape well and add a nice texture. Start with onions. 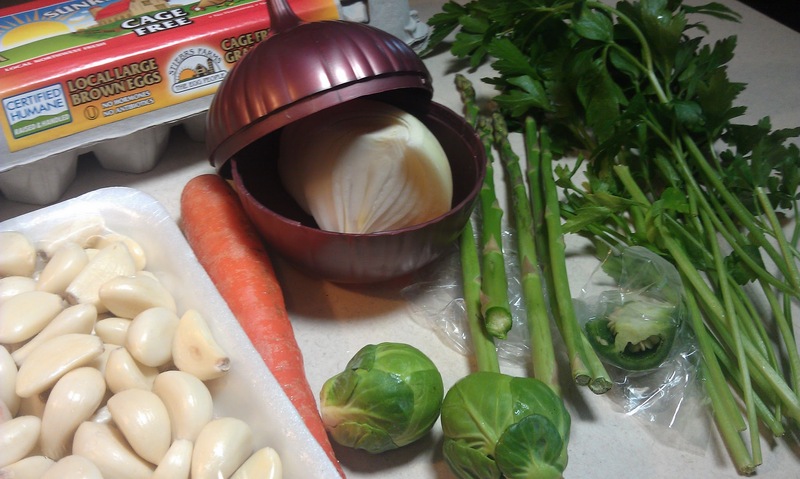 Once they start to sweat, add Brussels sprouts, carrots, and garlic. 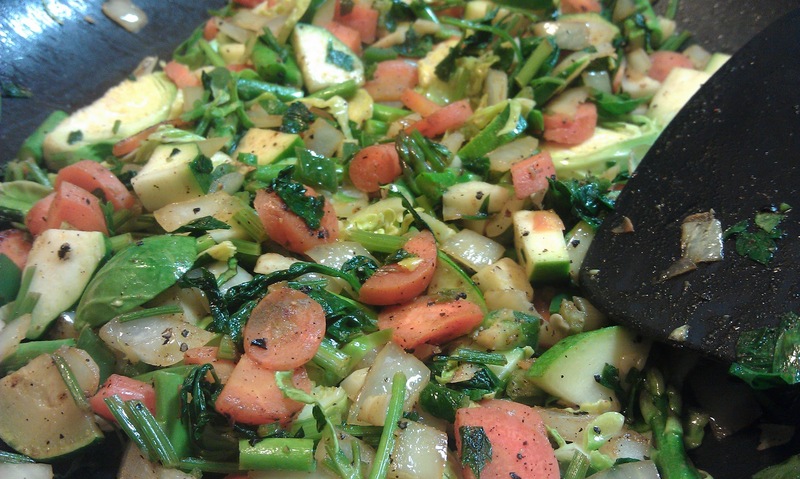 Stir often so the vegetables cook evenly. 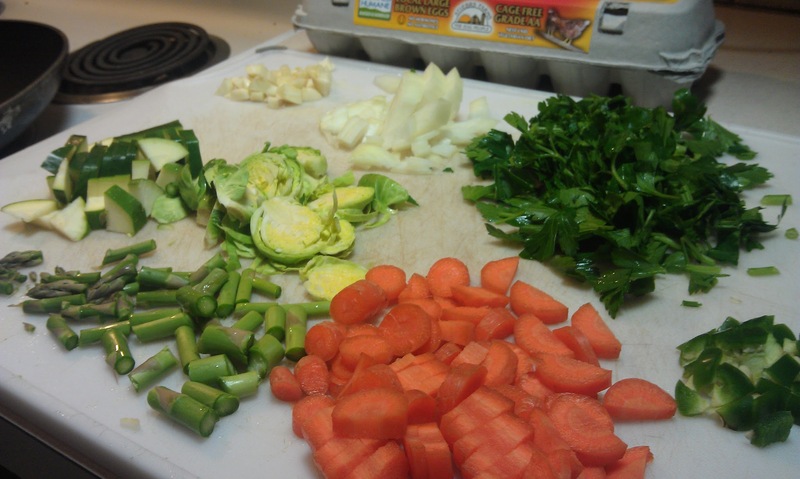 Reduced-carb fried rice ingredients, cooking. After about two minutes, add chopped green beans and celery. Cook until vegetables are nearly done, then add cilantro. Heat the egg pan back to high and add the oil and rice. Break it apart as much as possible, and stir only often enough to prevent burning – you want to get a slight crisp to the rice. Cook for about four minutes, or until a good portion of the rice has a bit of golden brown coloring. Chop eggs into small, bite-sized pieces. 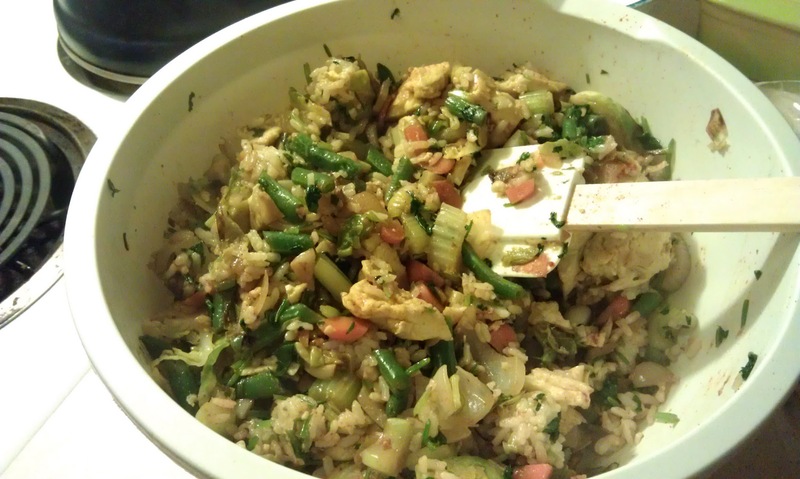 In a large bowl, add vegetables, rice, eggs, soy sauce substitute, and salt. Mix together gently until all ingredients are evenly mixed and seasoned. Mixing together the reduced-carb fried rice. Serve, garnished with a sprig of cilantro. I had thought about doing omelets, but I haven’t had a good poached egg in a long time. One of my dear friends is on a low-carb / slow-carb diet and came over for breakfast, so I wanted to make something that was friendly to her low-carb diet as well as my low-amine diet. Low-amine, low-carb breakfast. 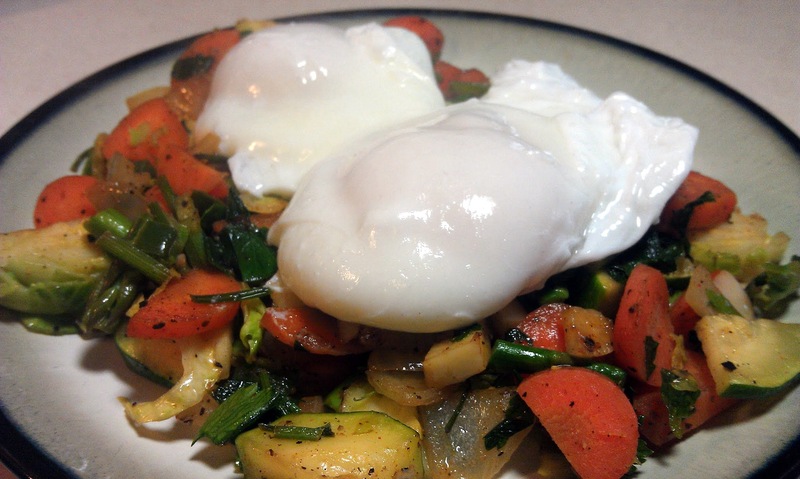 Poached eggs over sauteed vegetables. Heat one deep-walled non-stick pan full with water. Add 1 Tbsp vinegar to water (Vinegar helps keep the egg whites from coming apart everywhere. If highly sensitive to amines, omit.). Bring to almost a boil, and turn down to medium low. 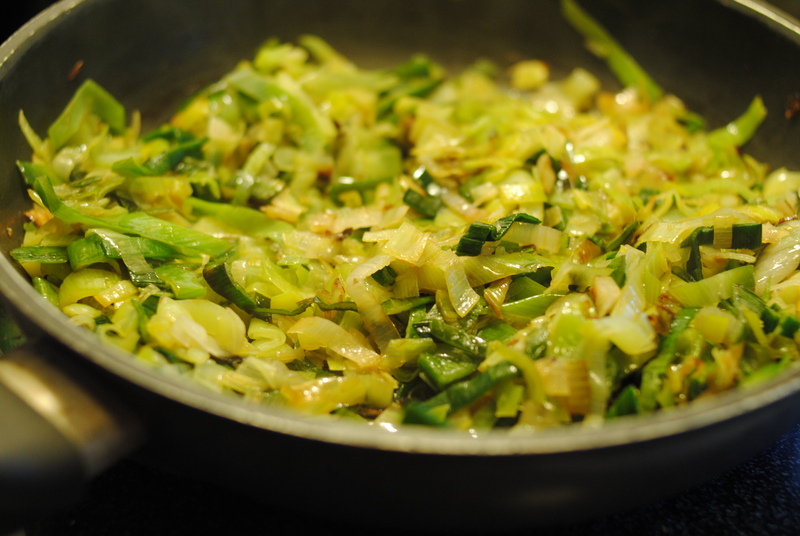 In a separate pan, saute vegetables on medium high. Start with onions and garlic, and after about one minute, add the rest of the ingredients, including spices. Saute until done, about 4-5 minutes. Into two ramekins, crack two eggs each. If water is up to temperature (should be very hot, and very sparsely bubbling), very gently drop the eggs from one ramekin into the water at the edge of the pan. You want to avoid the eggs being disturbed, so be as gentle as possible to avoid the whites coming apart everywhere. On the opposite side of the pan, repeat with the other eggs. Let eggs sit for about three minutes for runny yolks. 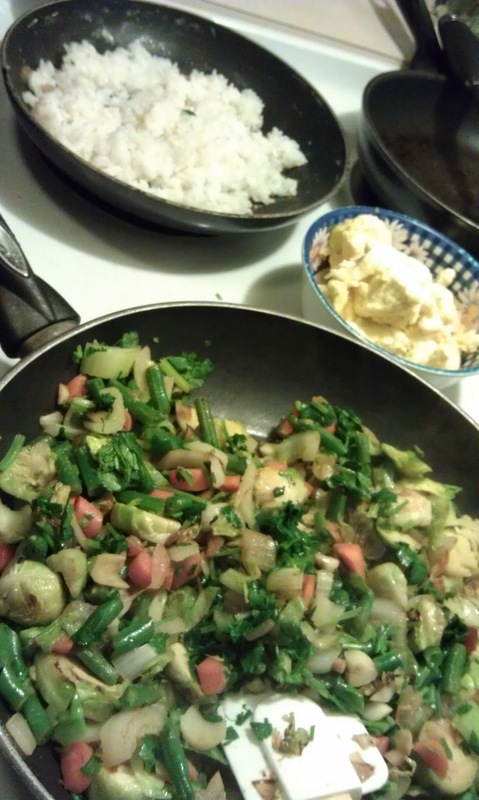 Serve sauteed low-amine vegetables onto two plates. Using a slotted spoon, gently scoop out the poached eggs (instructions on how to poach an egg) and serve them on top of the sauteed vegetables. Salt and pepper to taste, if desired. I’ve never been big on sweet things, so I was surprised when I had a sudden craving for something sugary. Given, my version of “sweet” is probably barely on the edge of sweet for most people. 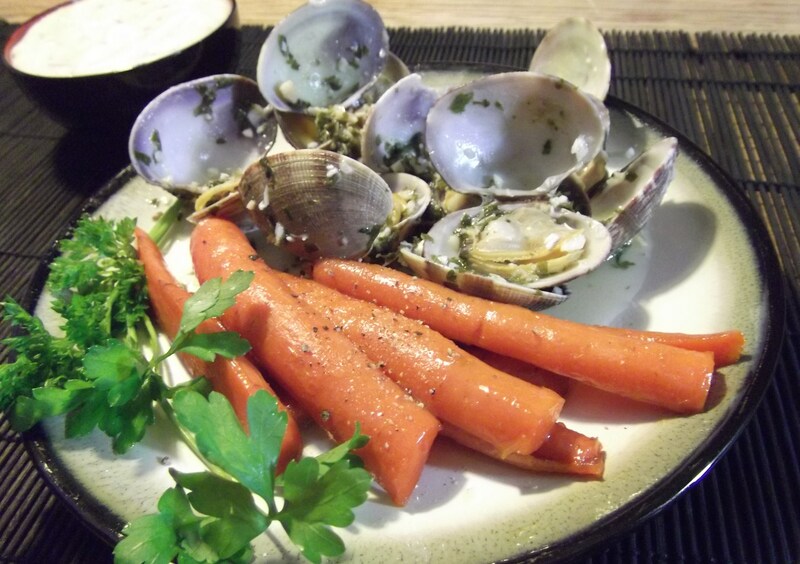 As carrots have an earthy sweetness to them, I added minimal sugar and helped enhance the flavor with vanilla. Wash and cut carrots lengthwise, and then in half again to shorten them. Heat butter, sugar, and vanilla in large pan on medium. Be careful to dissolve sugar in evenly – don’t burn it! When fully dissolved, add water and carrots. Cook on medium high for 5 minutes, covered. Remove lid, and cook for 5 minutes on medium, uncovered. Stir often to prevent burning. The liquids should reduce into a light syrup glaze. Serve with a spoonful of the glaze poured over the top.